Ms. Davina Hardman is the Patient Care Coordinator and Administrative Assistant for Gale and Associates. Ms. Hardman carries a long history of experience in client care and customer service. 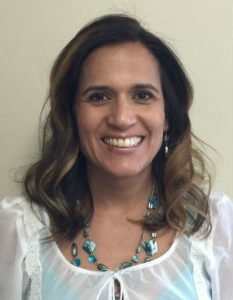 She has been managing administrative roles and taking care of our clients since relocating to Utah from Colorado in 2013. She is the first point of contact for clients interested in exploring our services or scheduling an appointment with one of our clinicians. She will thoughtfully and clearly walk you through the A to Z process of completing new patient paperwork, coordinating and understanding your benefits for insurance coverage for services, and making sure that you know what to expect when working with us. When she is not taking care of our clients Davina loves to travel back to Colorado to spend time with her CU under-graduate son. She also is devoted to watching her daughter compete and practice in Jiu Jitsu. Whenever they can, Davina and her husband enjoy exploring and camping across our beautiful state.